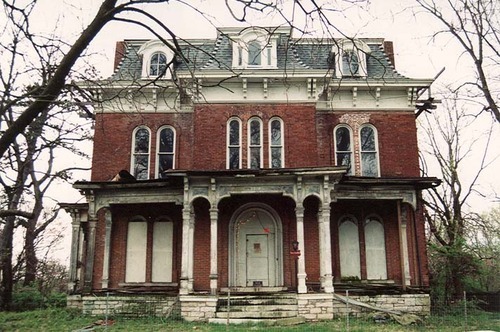 The McPike Mansion in Alton, Illinois is a mansion that was constructed in 1869. There have numerous reports of paranormal activity occurring in the mansion, including reports of hearing children laughing and sightings of apparitions moving around the halls. These hauntings are somewhat unusual in the sense that they are not linked to a murder or suicide.